Mark starts off creating a kick layering two styles and teaching how he uses EQ to process them further. Mark teaches you how to create a bassline with techniques such as layering and FX processing using EQ, bitcrusher and delay to create an edgy sound. Mark shows the lead vocal sound using a sampler with a signature processing chain and discusses how to get a dynamic stereo image. An exciting and unique drop is critical to any track, Mark teaches you many of the techniques he uses to get his signature sound on leads and basses. Layering sounds adds depth. Mark shows how to use a hardstyle sound and tweak it to make it distinct and sit better int he mix with the low end. Learn how mark uses orchestral percussion elements in his track and how they can be processed to fit with the edgier elements of the style. Mark does some editing to make the first drop more exciting and creates space by removing parts and adds vocal stems with some percussion. Mark creates a new triplet lead sound and builds it from scratch and talks about using modulation and envelopes to get the right hard-style vibe. Continuing with the second drop, Mark adds a new kick and processes it with a sidechain and volume automation to get the grit to cut through the mix. Mark works on bringing the bass to the front of the mix and adds the lead synth sound and teaches what to think about before the final mix. Creative contrast is important. Mark adds variation to patterns and adjusts elements to work together and add another layer adding body to the mix. Learn about hard-style kicks and how to add grit with FX and how to creatively recycle parts from other sections to create new sections and drops. Further building on the drop, Mark adds rides over the kick for sharpness and adds synths to finish it up and incorporates sounds from the first drop. Mark builds the Breakdown teaching complex techniques such as a tempo change and adds more instruments adding tension and contrast. Mark shows you how you can incorporate your own voice and process it to add a dramatic difference and give your tracks truly unique vocal pieces. In this chapter, Mark build up the second breakdown adding synths, filters more percussion piano and vocal effects to build the tension. Adding one more Vocal Element to the mix, Mark talks about the processing and shows several creative elements to use in the build up and transitions. Bringing everything together for the final master, Mark does a final listen and shows you his mastering chain that puts the final touch on his track. 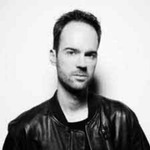 Since then, Mark Sixma has toured extensively, with big performances across the globe alongside top DJs like Armin van Buuren, Ferry Corsten, Gareth Emery, Judge Jules, Markus Schulz, Paul van Dyk, Sander van Doorn and W&W. Mark has made appearances at several outdoor festivals including one of Europe’s biggest dance festivals, Nature One (two times). He has also performed at Electronic Family and the Escapade Music Festival. In his first course for Armada University and FaderPro, Mark dives deep into his creative writing and production process showing you exactly how to create an edgy, peak-hour floor filler. Put your skills to the test! Now through May 15, 2019 anyone who purchases the course is automatically eligible to enter Mark Sixma's "The Clock" remix contest. The audio files are included as a download link inside the course.. Eligibility: Anyone who purchases the course and uses the included remix files.